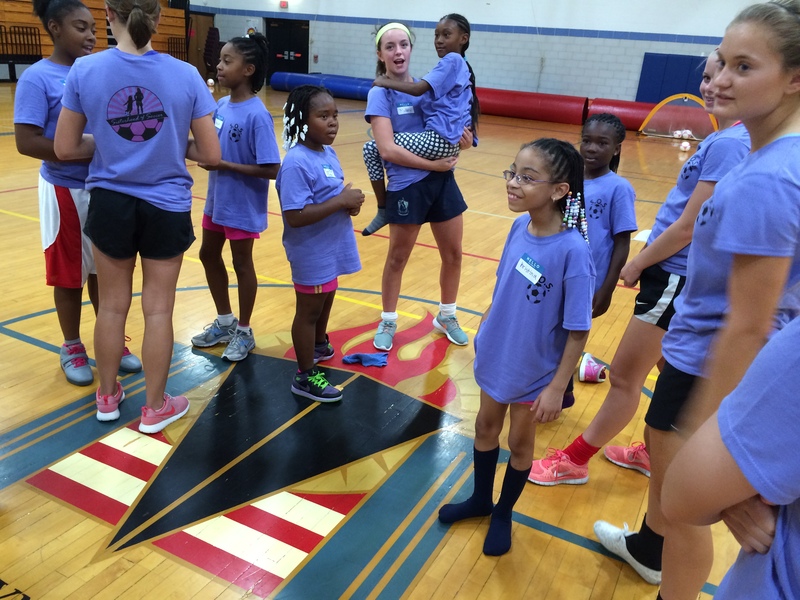 August 27, 2014 — MARYVILLE, IL —- An idea started in 2013 became a reality on a recent August weekend as the Sisterhood of Soccer (SOS) held its first soccer camp for girls at the Jackie Joyner-Kersee (JJK) Center in East St. Louis. The Sisterhood of Soccer focuses on making a difference in the lives of girls through the sport of soccer. 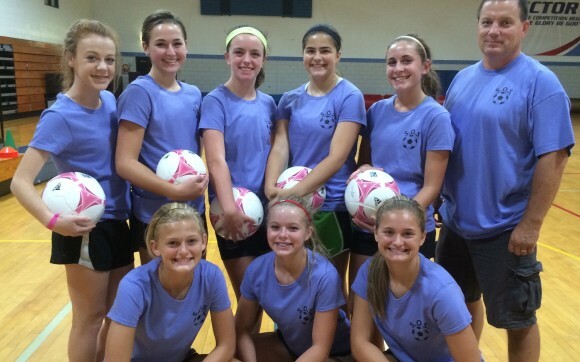 Sisters Abby and Ellie Crabtree of Edwardsville developed the idea and recruited other girls who play on their select soccer team to be camp coaches. Fifteen girls attended the camp which featured soccer skills training, games and life skills discussions on bullying and self-confidence. “These girls could have been at the first football tonight, but they are here to share their skills and ideas with these younger girls,” says Jon Wagner, SOS adult coordinator and father of one of the coaches. In addition to Abby and Ellie, coaches included Lexi Grote of Granite City, Emily Holten of Collinsville, Mallory Mushill of Edwardsville, Lauren Surfus of Edwardsville, Ashlin West of Edwardsville and Kelly Panzau of Belleville. 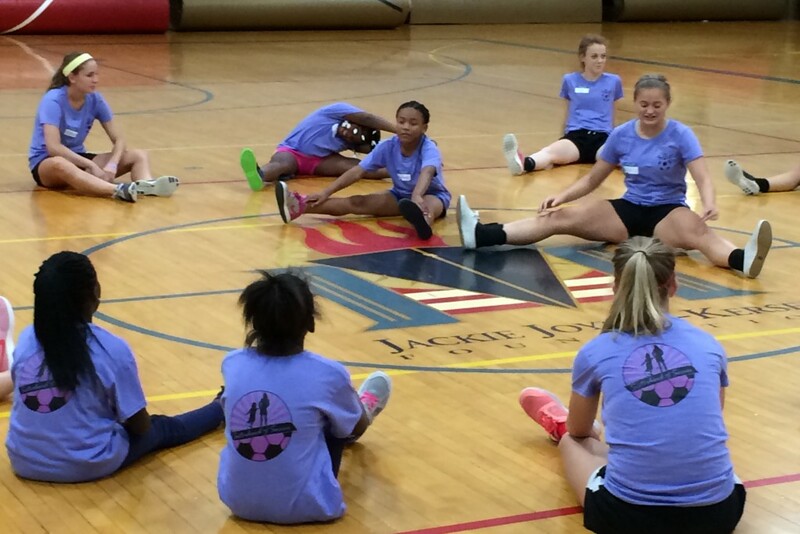 “This camp was great for the girls and a real help in our continuing effort to develop soccer in East St. Louis,” says Shavon Wilson, (Title), JJK Center.